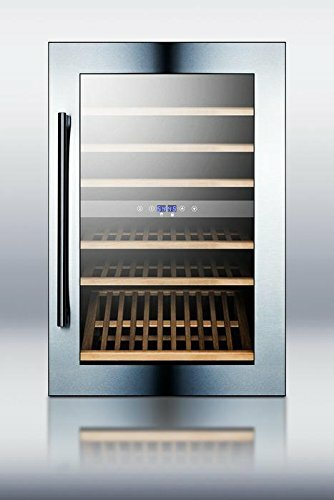 The VC60D is a dual zone wine cellar designed to store bottles under the ideal conditions. The door features a slightly tinted double pane tempered glass construction to protect your collection from UV light, with seamless stainless steel trim for a sleek, professional look. This unit includes a stylish stainless steel handle. The door swing is user reversible, offering more flexibility when positioning the unit.